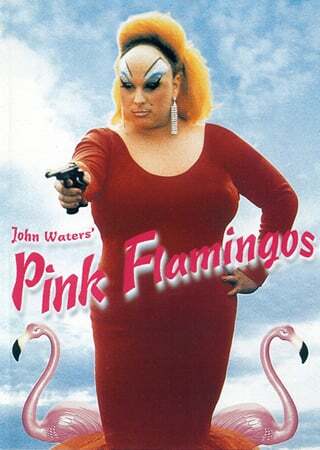 John Waters and Divine (pictured here) took the pink creatures to new heights (or depths, some say) with 1972's Pink Flamingos. Featherstone, with partners, later came to own the firm. He retired in 2000. In 2006, “a victim of rising expenses for plastic resin and electricity, as well as financing problems,” according to the Buffalo News, Union Products announced it would close. Flamingo fans freaked, and prices for authentic Featherstones soared. Mike Smollon, the South Florida Sun-Sentinel reported, immediately bought 11 pairs, and then sought out their creator for an autograph. Fortunately for the flamingos, rescue was at hand. Another firm bought the molds and rights, and pink flamingos were again in the pink. The rescue was fortunate as well for society as a whole. Kitsch they may be, and camp and in poor taste—but they bring people together. “You know, they bring a smile to your face,” University of South Carolina geography professor Susan Cutter told the Christian Science Monitor during the flamingo crisis. In Corbin Palms, a Los Angeles neighborhood of Palmer & Krisel-designed mid-century modern homes, neighbors have thrown ‘flamingo parties,’ publicizing them by arranging the birds in front of whichever home would play host. Similar parties occurred years back at Eichler’s Fairhaven neighborhood in the city of Orange. “There was a flamingo out nearly every night at somebody’s house,” Craig Opsahl recalled. The flamingos do their job well. “I don't want it to be just a joke,” Featherstone said of his birds in 1997. “I'll bet 90 percent of the people who buy them just really like them. They feel like I do, that an empty yard is like an empty coffee table—it cries out for something.